The verb 'to get' is used in many senses in English and can be confusing at times. Here is a list of the top ten uses of 'to get' with simple explanations and example sentences. Of course, these are not all the senses of 'to get'. In fact, there are many phrasal verbs with 'to get'. In honor of Blog Action Day, Blogger is highlighting a selection of blogs that focus on the environment, climate change, and sustainability. Cleantech Blog - Commentary on technologies, news, and issues relating to next generation energy and the environment. The Conscious Earth - Earth-centered news for the health of air, water, habitat and the fight against global warming. Earth Meanders - Earth essays placing environmental sustainability within the context of other contemporary issues. Environmental Action Blog - Current environmental issues and green energy news. The Future is Green - Thoughts on the coming of a society that is in balance with nature. The Green Skeptic - Devoted to challenging assumptions about how we live on the earth and protect our environment. Haute*Nature - Ecologically based creative ideas, art & green products for your children, home and lifestyle, blending style with sustainability. The Lazy Environmentalist - Sustainable living made easy. Lights Out America - A grassroots community group organizing nationwide energy savings events. The Nature Writers of Texas - The best nature writing from the newspaper, magazine, blog and book authors of the Lone Star State. Rachel Carson Centennial Book Club - Considering the legacy of Rachel Carson's literary and scientific contributions with a different book each month. Sustainablog - News, information and personal meanderings related to environmental and economic sustainability, green and sustainable business, and environmental politics. These Come From Trees - An experiment in environmentalism, viral marketing, and user interface design with the goal of reducing consumer waste paper. Book Review: How Languages are Learned. By Patsy M. Lightbown and Nina Spada. Oxford : Oxford University Press, 1996. 135pp. This book is yet another state-of-the-art survey of second language acquisition. It is the result of the two authors' extensive experience in classroom-centred research on second language acquisition. The book is organised into six chapters. The introduction, the recommended readings concluding each chapter, the glossary of the words that have special or technical meaning within second language acquisition research and language teaching, the bibliography and the index are all admirable. In the introduction, the authors make what seems to be an unusually commonsense point. We are told that 'One important basis for evaluating the potential effectiveness of new methods is, of course , the teacher's own experience with previous successes or disappointments. In addition, teachers who are informed of some of the findings of recent research are better prepared to judge whether the new proposals for language teaching are likely to bring about positive changes in students' learning '. In this introduction, we are also invited to reflect upon (1) twelve popular views about how languages are learned and (2) what the implications are in respect of how these languages should be taught. The questionnaire used for this purpose has been professionally executed. I outline these views below as they are, taken as a whole, an organiser for five chapters (1-5) of the book and as they engage us personally throughout the remainder of the book. Languages are learned mainly through imitation. Parents usually correct young children when they make grammatical errors. People with high IQs are good language learners. The most important factor in second language acquisition success is motivation. The earlier a second language is introduced in school programs, the greater the likelihood of success in learning. Most of the mistakes which second language learners make are due to interference from their first language. Teachers should present grammatical rules one at a time, and learners should practice examples of each one before going on to another. Teachers should teach simple language structures before complex ones. Learners' errors should be corrected as soon as they are made in order to prevent the formation of bad habits. Teachers should use materials that expose students only to those language structures which have already been taught. When learners are allowed to interact freely ( for example in group or pair activities), they learn each other's mistakes. Students learn what they are taught. This message was recently posted to the TESL (teaching esl) list. I thought it would make a good discussion topic. Recently, it occured to me that teachers should take care in choosing what materials they use for various lessons in ESOL classrooms. Coming from a conservative background, I know that there are various genres of movies, music, and literature that my late parents would not have approved of me encountering in my class when I was younger. Furthermore, as an adult student, there are various books etc that I would wish not to study that some teachers may not have a problem with teaching. My question: how important do you think this is when it comes to choosing materials to be used in ESOL classrooms? I've asked couple of friends (a student and a teacher) about this. Both had a very short list of what they feel is inappropriate. Thus I am curious, in this generation, do most people have an "anything goes" attitude, or is it only certain cultures? Should we just use anything (age appropriately of course) in our classes or should we be mindful of what is socially appropriate based on other cultures? I'd like to know what others think about this issue. Are there materials or topics that you think should be off-limits? What? Why? If you think something should be off limits, you need to explain why you think so. Conversely, if you think no topic should be off-limit, explain that too. Gerald Graff, a well known American professor and "cultural theorist" who writes about literature and teaching, thinks we should not avoid controversial material in the classroom. Instead, he says, we should, "teach the differences." This - sometimes called "the culture wars" - is a touchy topic in American universities now. Maybe it does not apply to ESL classes. Maybe it applies even more since we are even more likely to be a diverse group. Maybe there are difficult topics we need to learn how to talk about. Language Benchmarks: English as a second language for adults provides a set of descriptors of what learners can do with English at various levels, expressed as 12 benchmarks for each of the four skill areas: listening, speaking, reading and writing. Their purpose is to describe accurately where the learner's ability to use English places him or her within the national descriptive framework of communicative language. The following table illustrates how similar competencies require increasing complexity of performance across the three stages of proficiency. instructions in a predictable context. Follow short common instructions and instructional texts. Follow one-step instructions in educational materials in a classroom situation (e.g., print, copy, circle and underline, fill in, check and draw). Explain/convey to someone health and safety warnings and instructions for use that are printed on chemical product labels (e.g., on dishwasher detergent containers). Read selected personnel policy regulations and instructions, and apply the information to a specific case study situation. Copy words and phrases to record short information for personal use. Reproduce and record simple to medium complexity information for various purposes (e.g., notes, summaries, main points and other formats). Select and reproduce very complex information from multiple sources in a variety of appropriate formats. Copy information from an appointment note into a calendar (e.g., name, address, time). Take point-form notes from one page written text or from a 10- to 15-minute oral presentation on a practical topic. Write an article or paper for a public forum, presenting a synthesis or overview of an area of knowledge, based on multiple pieces of research or other publications. In English we can put two nouns together. The first noun is used as an adjective to modify the second noun and is called a noun adjunct. The first noun is almost always singular because it follows the rule for adjectives, which do not have plural forms in English. N1 is singular, even if the phrase is plural. My mother planted a rose bush in the garden. I bought a new table lamp. Bobby takes the school bus to school. The school ordered fifty new grammar books. That man makes bird cages. Mrs. Taylor bought some new baby clothes. According to this explanation then, we should not say "strength points" when we mean "strong points" or "strengths" BUT can say or write "talking points", "debate or discussion points" and the like. We can use a number with N1 to make a compound adjective. Since the number and noun make one unit, we use a hyphen to join them. Note that N1 remains singular because it is being used as an adjective. We can use a number to refer to the second noun (how many) and a number with the first noun (compound adjective). In that case, there is no hyphen after the first number, but the second number is still used with a hyphen because it forms a compound adjective. As you'll note, Blogging English has had a makeover - a "face lift". I added a feature - In the News. Now you can read the news in English without leaving the site. Are there other topic areas you'd like to see here? Let me know. Links, at the bottom of the page, have been expanded. Instead of just our own pages (have you been keeping them updated? ), the links section now has a number of ESL resource links. Closed polls with results are also at the bottom of the page. I had to take the picture out because it did not not fit well either in header or right hand column. I added picture "features", Mountainair Scenes and an art one, to Mountainair Arts that I change out from periodically. We could have a picture feature here too - perhaps a cartoon of the week. 8. writing the introduction at the end of the piece. Pick out a long sentence from your paper, and look at where you put the comma. Read the first part of the sentence. Could it stand by itself? Does it have a subject, verb, and complete idea? Now look at the last part. Is it also a complete sentence (also known as an independent clause)? If you have two complete sentences on either side of a comma, then you have a comma splice. Teachers hate these. Example: "I ate tabouli yesterday, it's my favorite food." 1. Split up the sentences with a period. Example: "I ate tabouli yesterday. It's my favorite food." 2. Use a semicolon instead of a comma. Example: "I ate tabouli yesterday; it's my favorite food." 3. Add an "and" (or "but," "or,") after the comma. Example: "I ate tabouli yesterday, but I actually hate the taste of it." 4. Use a conjunctive adverb ("therefore," "instead") with a semicolon and a comma. Example: "I ate tabouli yesterday; however, it is not my favorite food." 5. Make one part of the sentence not an independent clause (a dependent clause), by adding a subordinating conjunction like "because," or "although." Example: "I ate tabouli yesterday because it's my favorite food." *note: if the dependent (subordinate) clause comes at the end of the sentence, you don't need a comma. If it comes at the beginning, you do need a comma. Example: "Because I ate tabouli yesterday, I have a stomach ache today." -- OR -- "I have a stomach ache today because I ate tabouli yesterday." Look for a sentence in your paper that begins with "That," "Because," or "Which." Subordinate conjunctions (ex. "because," "although") and relative pronouns (ex. "that," "which") are the most common beginnings of fragments. Example: "Although it has stopped raining." 1. A subject. The subject is the person or thing that is doing the action. 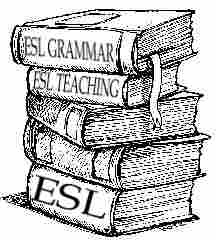 The subject is often the first noun or pronoun of the sentence. Example: "The flood destroyed my house. It is now under water." *note: The subject cannot be inside of a prepositional phrase. Example: "In my house (noun), the water was rising." 2. A verb. The verb is either the action or the being of the sentence. 3. A complete idea. A sentence that has a noun and a verb but is not a complete idea is called a dependent clause, and cannot stand by itself. Example: "Since the flood destroyed my house." This clause is a dependent, or subordinate, clause because it has a subject ("flood"), a verb ("destroyed"), and a subordinate conjunction ("since"). It cannot stand by itself because it doesn't make sense. It leaves us with a question in our minds. The main reason people write sentence fragments is that, in their minds, the fragment is connected to the previous or the subsequent sentence. Example: "The flood destroyed my house, and it is now under water. Although the rain has stopped." This is easy to fix. All you have to do is take out the period after "water." Example: "The flood destroted my house, and it is now under water although the rain has stopped." Don't simply tell the spell checker to correct everything it comes across. It will only tell you if there is such a word in English, not whether the word is used properly. "...which literally peals the rubber right off." Don't let this happen to you. Make sure you double-check the spell-checker. Many peoples is having problems with this area. They writes as they speaks, which don't usually work, unless they be a professor. Example: My friends is going to the game. "Friends" is plural, and "is" is singular. They don't match up. Either make "friends" singular or "is" plural. Example: My friend is going to the game. Example: My friends are going to the game. In English, verbs have five qualities: person, number, tense, voice, and mood. In choosing a verb, you must choose the correct person (I, you, he/she/it, we, you, they), the proper number (one or more-than-one), the proper tense (when the action is happening), the proper voice (active or passive), and the proper mood (a fact, a command, or a wish). For example, the third person plural, present tense, active indicative of "to come" is [they] "came." The second person singular, past tense of "to be" is [you] "were." For a more complete explanation of verb tense, person, and number, see handout on verb conjugations. What is the difference between "the giraffes," "the giraffe's" and "the giraffes'"? The first is plural (more than one giraffe), the second is possessive (something belongs to the giraffe), and the third one is plural and possessive (something belongs to more than one giraffe). In formal writing, it is better not to use "you." Example: "Writing gives you a headache." Who is you? Me personally? It gives ME a headache? Find another way to express this idea, by using the third person singular impersonal ("one"), or by specifying your target group. Try to stay away from first person singular, unless you are doing some sort of personal testimony or journal. "I" is very personal, and not usually appropriate for formal writing. The first person plural can work in certain situations, especially if you are writing from personal experience, or feel strongly about the topic. Read your introduction. Do you find a clear position about a topic, which will be supported in your writing? Or have friends read your first paragraph, then ask them what you are going to write about. If they can't tell you, you have no thesis statement. The purpose of the thesis statement is to let the audience know what your topic is and what your position on that topic is. If we don't know what you're writing about, or what you want to say about the topic, we are not going to be interested in reading your paper. Example: "Have you ever wanted to be a movie star? People like John Travolta and Michelle Pfeiffer are rich and famous, and kids all over the world want to be like them. They ride everywhere in limousines, never have to go to the grocery store, and get to have vacation on deserted islands. But of course they have to give out autographs too, and avoid the paparazzi." Where is the thesis statement here? It usually appears toward the end of the introduction, often as the last sentence. Is this person going to write about autographs and paparazzi? Most likely, he or she is going to write about the lives of movie stars. But without a thesis statement, the essay will wander, with no goal or point. This person could add a thesis statement to the end of the introduction such as: "Even though many people would like to live like a movie star, that lifestyle is not easy." This is especially a characteristic of first drafts. Writing is often a process of figuring out how one thinks/feels about a subject, or of exploring the complexities of certain issues. This is why people "write to get it all out" in journals or the like. Look at the conclusion of your paper, and see if it isn't clearer, better worded, and more energetic than your introduction. Try taking some or all of the conclusion and using it for the introduction. Then reread your paper and make sure all your topic sentences relate to your new thesis statement and your argument makes sense. Write a new conclusion, one that goes beyond simply restating the introduction and gives your paper a bigger relevance beyond your topic, or suggests future trends for your topic. Just because information on the internet is not published in a book, doesn't mean it doesn't need to be cited as a source when you use it in your writing. Papers (or paragraphs, or sentences) plagiarized from internet sources, or any sources, are easy to spot. Suddenly the level of language jumps up three notches, the grammar mistakes disappear, and the writing style changes. Teachers are particularily suspicious of papers with no citations, or only one or two. They know you must have gotten the information from somewhere -- why didn't you give credit to the source? Doing research and citing sources is simple. Read as many sources as you can, until you have a general knowledge of your topic. Decide what you want to argue, and write your thesis statement. Think of a few supporting points from your general knowledge. Develop your supporting points, and put in quotes or statistics to make it sound like you did some research. - The information is so general it is useless to write about it. Some students feel that there are only so many ways to write something -- that if they just rearranged the words "it wouldn't sound as good," and they're exactly right. The point is not to rearrange words because that means you're only using someone else's idea, instead of thinking for yourself. Write what YOU want to write, and use quotes from other people's work to show how THEY agree with YOU, not how YOU agree with THEM. Some students don't like the idea of "arguing a point" because they feel they have nothing to contribute, or they don't know if their idea is good or not. Don't worry. No one expects you to make an original contribution to human knowledge at this point. The goal is to get practice writing research papers, so that someday you will know how to write down that contribution to human knowledge you will eventually want to make. Be specific with your words, especially with people. Who is "us"? Does technology benefit every person in the entire world? What kind of technology? Narrow your focus to a specific group of people, and a particular kind of technology. Example: "Aerospace technology benefits residents of the Space Coast." Another example: "There are hot dogs for dinner." "There is/are" means simply, "there exist(s)." Unless you specify a place, you are writing "there exist (somewhere in the entire scheme of reality) hot dogs for dinner." This is a meaningless thing to say because it is obvious. Specify a place or situation. Example: "There are hot dogs for dinner at my house." Better: "We are having hot dogs for dinner at my house." Try not to start a sentence with "there" if at all possible.